Many retirees consider Sarasota, Florida, as an ideal place to settle in the winter because of condominium properties like the Sarasota Bay Club. Roskamp & Patterson Management Company, an outfit which has over twenty-five years of experience in successfully meeting the residential needs of retirees, is behind the development and operation of the Sarasota Bay Club. The company has made an excellent choice of locating this retirement condo at 1301 North Tamiami Trail right at the hub of the easygoing lifestyle in Sarasota’s downtown. What it offered as residences are two high-rise towers amid a luxuriant landscaping and an atrium provided in between. This elegant two-story structure between Sarasota Bay Club’s North and South Towers serves as the condos’ grand foyer and charming lobby. Great residential real estate choices are available at the Sarasota Bay Club wherein fabulous views of Sarasota Bay are so generously afforded. 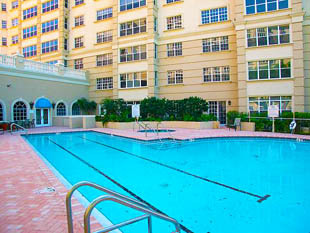 Within the Mediterranean-styled towers are options for classic home designs in three series called Baroque, Renaissance, and Impressionist. The Sarasota Bay Club condos for sale feature floor plans that start with units having 983 square feet, one bedroom, and one and a half baths. The more spacious selections of Sarasota Bay Club condos for sale feature three bedrooms and three and a half baths in their floor areas measuring up to 2,326 square feet. An asking price at the mid-$400s can be expected for a Sarasota Bay Club condo for sale with 1,161 square feet of floor space, one bedroom, and one and a half baths. A two-bed room residence having a floor area of 2,186 square feet, on the other hand, recently sold for $866,000. The laid-back lifestyle sought by most retirees finds fulfillment in the many amenities at this condominium complex. Its residents have access to a heated swimming pool and spa, a card room, billiards and table tennis rooms, and fitness facilities. Moreover, the Sarasota Bay Club complex has a health and wellness center, library and reading rooms, and a multi-purpose auditorium. 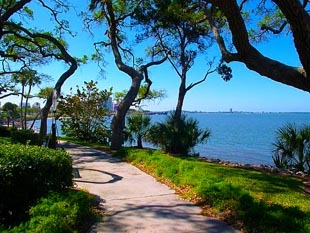 The outdoor walks in the condominium complex are complemented by the refreshing ambience of nearby parks such as the Centennial Park and the Pioneer Park adjacent to the Sarasota Bay Club. The arts and cultural centers of Sarasota are also near the condos, with one of the favorites, the Van Wezel Performing Arts Hall, only a few blocks away. Shops like the Publix Supermarket and the Whole Foods Market are also around the area, along with delightful restaurants such as China Garden and Villa Francesco. Exquisite combinations of the shopping and dining experience can likewise be readily accessed at the St. Armands Circle a few minutes drive via the Ringling Bridge, making yet for another compelling reason to purchase Sarasota real estate in which to enjoy your retirement. 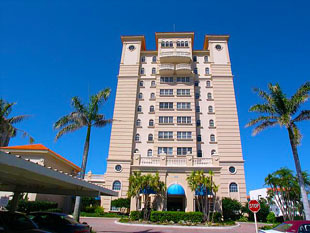 Below are all of the current condo listings available for sale at Sarasota Bay Club condos of Sarasota.